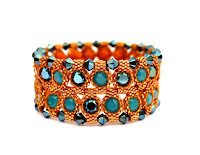 The Beadful Life @ BeadFX: Jean Power is coming back to BeadFX for three wonderful classes! Calling all Jean Power fans! Jean Power is an award-winning jewellery designer, writer and teacher based in London, England. She first began making jewellery in 2001, having already spent many years painting as well as exploring different aspects of fibre and textile arts. 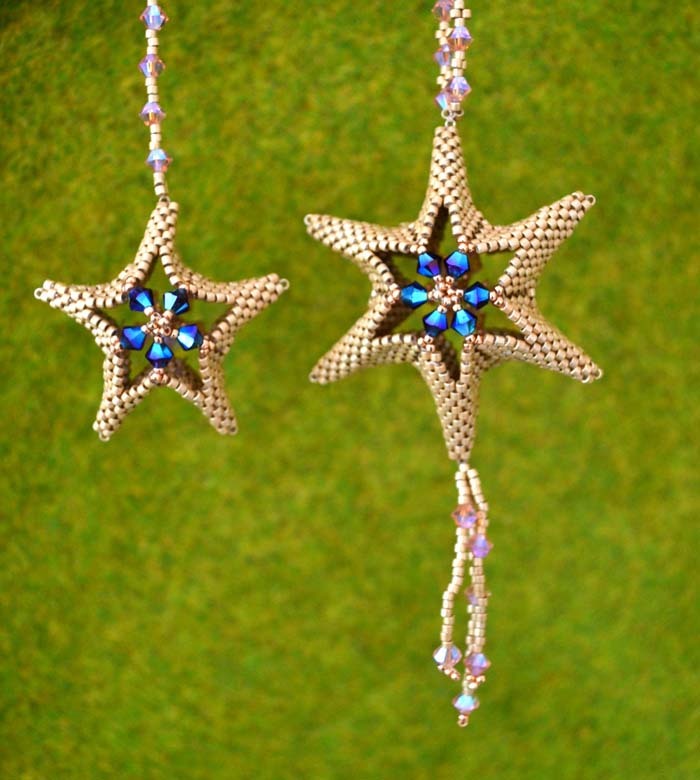 While she continues some of these interests, beading, wirework and chain maille are her main love and she tries to use them in conjunction with her other interests. 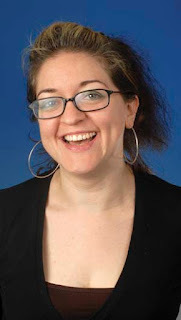 We are so pleased to have Jean back with us, that we are offering a very special bonus for taking her classes. For each of Jean's classes you register for, you will receive a $40 Gift Certificate that you can use toward class supplies or for future purchases or classes. This special offer is in lieu of receiving the standard 15% Student Discount. This sparkling series combines a bracelet and necklace centrepiece that unite peyote stitch components with Swarovski Chatons and bicones for dramatic and versatile pieces. 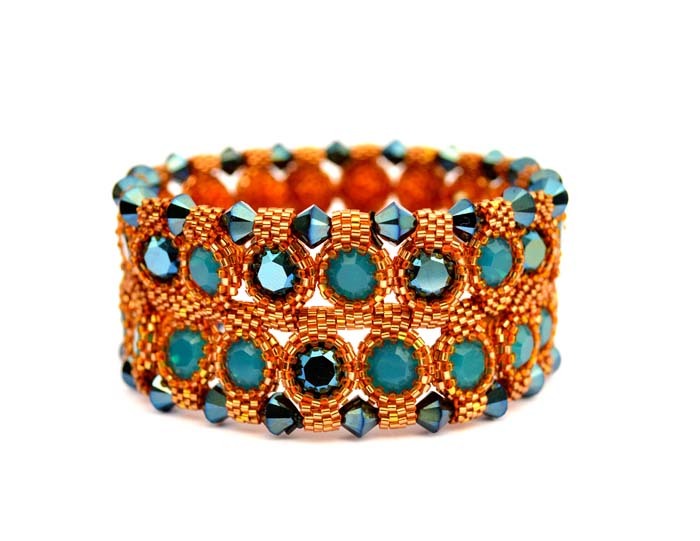 Ideal for anyone who knows basic peyote stitch, the bracelet can be adapted in height (the one shown above is a double layer) to suit your own tastes and preferences. 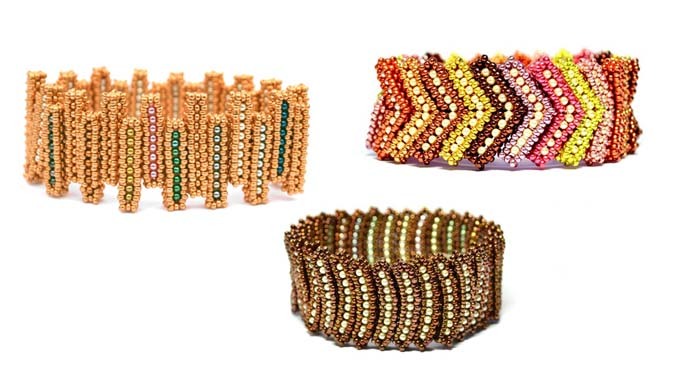 Using beading elastic as its base the finished piece requires no clasp and makes it ideal for different sizes and wearers. Level: Intermediate; must know peyote stitch and be comfortable with small beads. Because of the substantial offers on these classes, we anticipate that attendance will be high and wait lists will be developed. Don't be disappointed - register early! Complete information about each class, including the supplies to bring, is listed on the class pages. 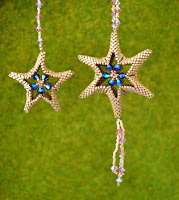 Click on the class title to see the class page or go to www.beadfx.com and click on 'Classes'. Follow the links to the September classes. Let's Celebrate with July classes! Silkys and SuperDuos and Shipping! It's time to pull the rabbit out of the hat! Swallows Swoop and Dragonflies Zoom! What's on my bead mat - June edition! What colour is your happy place?